Investing in an energy-efficient home is a great way to save on your monthly bills in the long run. While proper insulation plays a vital part in your home’s energy efficiency, the color of your residential roofing system can help as well. Crown Roofing explains more below. Indoor temperatures on the upper levels of the building, such as the attic, can vary as much as 10 to 15 degrees. 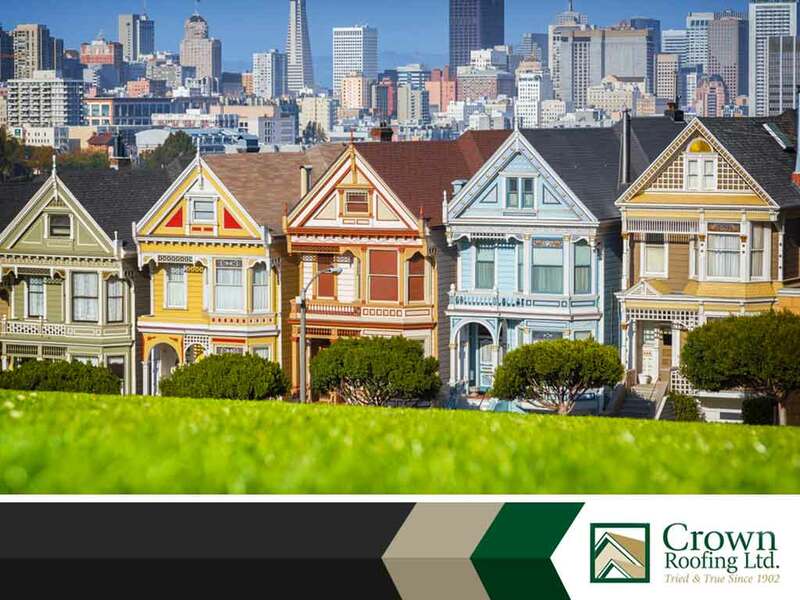 The right roofing material can help reflect heat, reducing energy consumption. In fact, a study by the United States Department of Agriculture found that black shingles were 10 to 15 degrees warmer than white shingles on a sunny day. When the sun had gone down, they also discovered that the black-shingled roofs also tended to lose heat faster than the white-shingled roofs did. If you think back to elementary science, it’s pretty straightforward – darker colors tend to absorb more light, which means more trapped heat in the roof that flows into your attic. On the other hand, lighter colors are reflective, causing much of the heat from the sun’s rays to bounce off and helping them retain much less heat than a darker roof. Having a light-colored roof may be ideal in summertime since it means your air conditioner operates more efficiently by using less energy to cool your home, resulting in lower utility bills. Of course, this is not the only factor as a compromised roofing system with leaks and structural damage will also play a key role in the energy efficiency of your home. That’s why regular roof maintenance is important regardless of roof color. During the winter, however, the opposite conditions hold true as a darker-colored roof brings in more desired heat from the sun than a light roof. This feature makes dark roofs advantageous in colder climates, where heating units have to work harder to attain the preferred indoor temperature. Your roof is a long-term commitment that must balance aesthetic appeal with energy efficiency. That’s why Crown Roofing offers a variety of roofing options across Vancouver and Surrey. Give us a call today at (604) 210-6655 for a FREE consultation. We also provide emergency roof repair services.